A luxurious Anti-Aging hand and body wash that gently cleanses, leaving your skin moisturized and refreshed. This moisturizing body wash hydrates and softens with Honey, Green Tea and Ginseng Extracts. Rinses free of residue and leaves skin silky smooth and invigorated. SLS & Paraben Free. Hydrate Restore is a first-of-its-kind hair and scalp treatment, which uses Julien Farel's A2B (Anti-Aging Balance) Technology to treat, shampoo and condition the scalp for healthy hair growth. Julien believes that the secret to healthy hair is a healthy scalp! 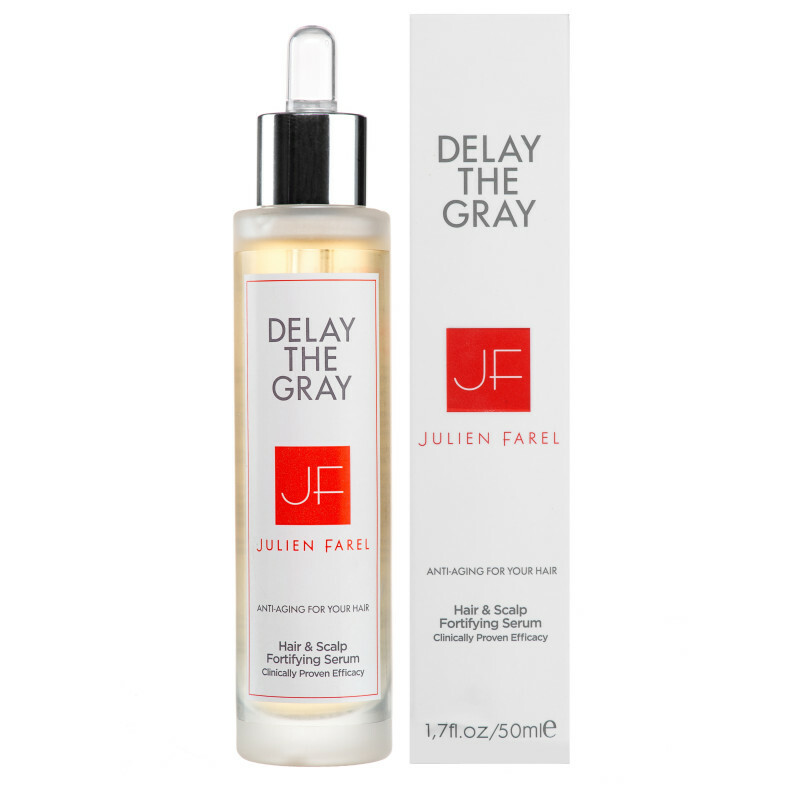 Julien Farel Hydrate Restore contains powerful bio-actives such as Hyaluronic Acid, Echinacea Stem Cells, and Resveratrol, to promote deep hydration, follicle strength and antioxidant protection. Every time you use the Hydrate Restore treatment, whether your hair is oily or dry, it gives a moisturizing and volumizing effect while bringing your hair and scalp back to the ideal pH level of 5.5, making hair look and feel healthier. With wet hair, apply directly to the scalp and massage into a creamy texture. Hydrate Restore is a non-foaming hair treatment that cleanses, treats and conditions hair in a single, simple step. • This protein hair treatment is for anyone with natural, non-colored hair; anyone with thin hair who wants more natural-looking volume; and anyone with hair that feels normal. • A powerful combination of Hyaluronic Acid, hydrolyzed rice protein, Echinacea Stem Cell Extracts and Mineral complex work to hydrate, replenish and protect scalp and hair • Excellent moisture replenishment for those who exercise or swim daily • Sulphate, Paraben & Cruelty Free. Color Safe. Dermatologist Recommended. The Restore Comb is a palm-sized, round edged comb safe for detangling wet hair. Made in Italy, this travel sized comb gently glides through to smooth and detangle hair. A grooming essential for all hair types and lengths. Comb measures approximately 3-3/4" x 2-3/4. Praised by our staff of celebrity hairstylists, this medium sized blowdryer features a powerful long life motor (up to 1875 watts), 2 speeds, 3 heat settings and overheating protection. 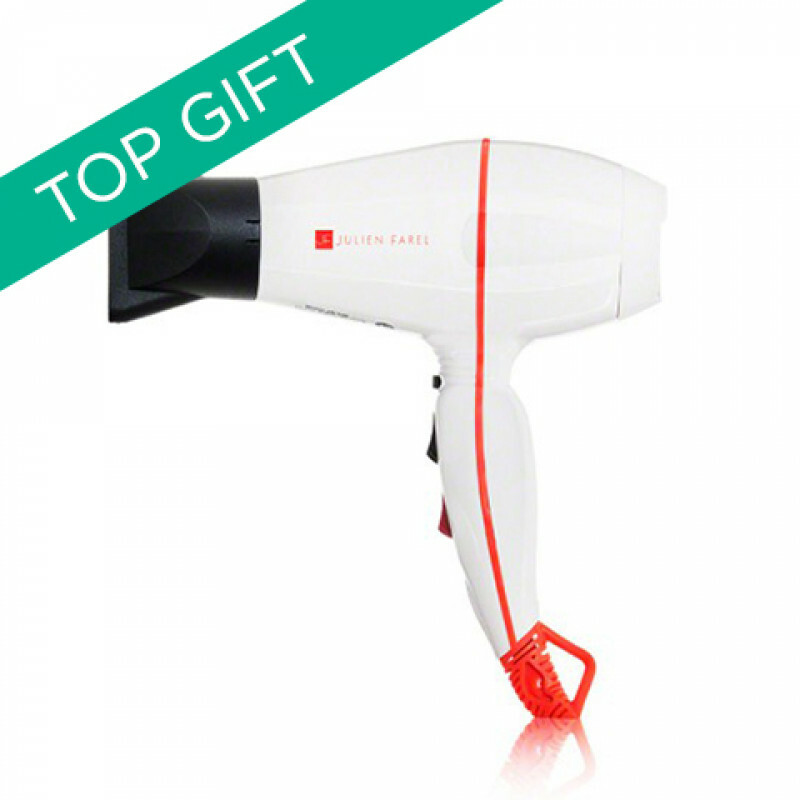 Conveniently placed buttons for heat, speed and cold shot along with the hang up loop makes this hair dryer easy to use and store, ideal for everyday styling. Easy drying to get you where you need to be, faster! *We have updated our Zero Frizz products to be even better with the new De-Frizz Family! Fight the frizz with De-Frizz Condition for flawlessly smooth and shiny hair. Formulated for frizzy, curly and coarse hair, Shea Butter and Sweet Almond Oil deeply moisturize to soften and control unruly textures. Moisture balance is maintained with Hyaluronic Acid, keeping hair hydrated. Blocks humidity with anti-oxidant protection for long lasting, frizz-fighting smoothness. Paraben Free. Color Safe. Dermatologist Recommended. We have updated our Zero Frizz products to be even better with the new De-Frizz Family! Formulated for frizzy and curly hair, De-Frizz Shampoo nourishes hair for frizz-free smoothness, softness & shine without weighing it down. 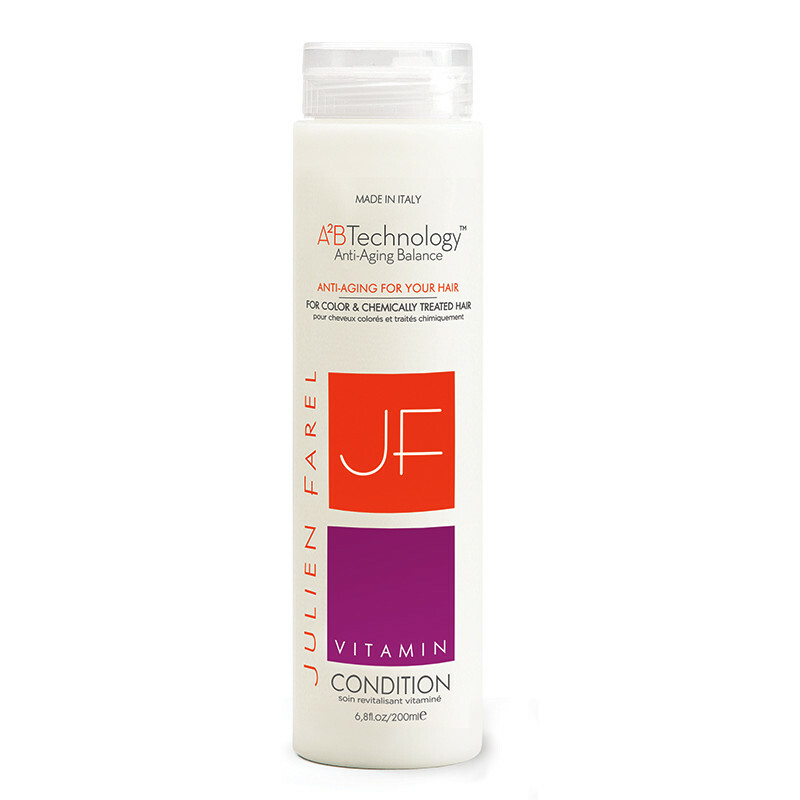 Replenishes moisture to reduce frizz while restoring softness and shine. Nourishes follicles and fortifies hair with Arginine and Grape Seed Oil for stronger, healthier hair growth. Gently cleanses without stripping natural oils. SLS & Paraben Free. Color Safe. Dermatologist Recommended. Formulated for frizzy, coarse and curly hair, De-Frizz Restore is an all in one anti-age formula that cleanses, treats and conditions hair in a single simple step. Stimulate your scalp and nourish your follicles with our proprietary formula to effortlessly restore your hair. 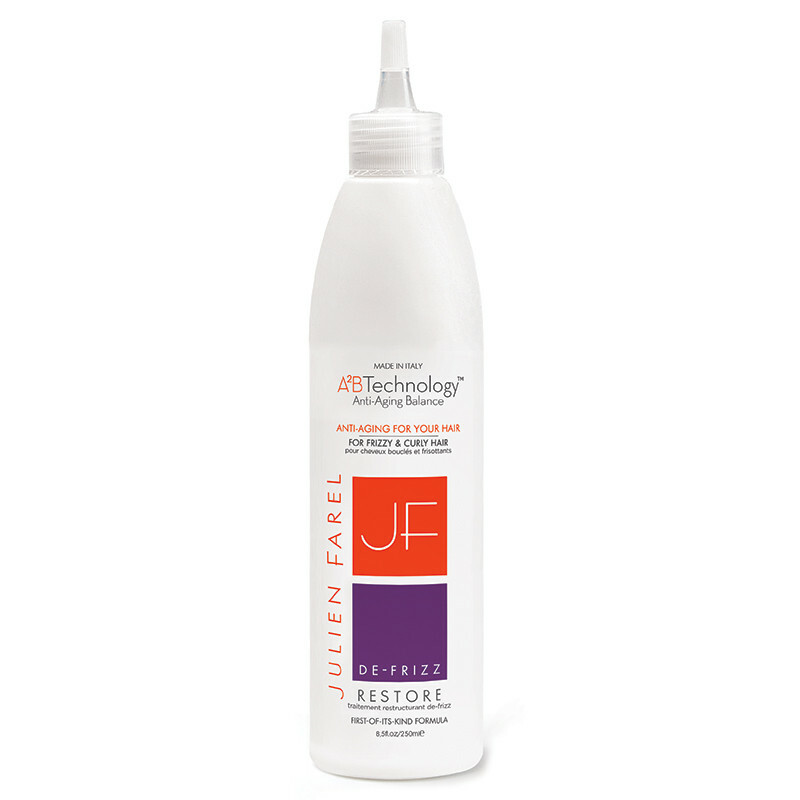 Julien Farel De-Frizz Restore has our highest level of moisture featuring premium ingredients to deeply hydrate hair. Utilizing A2B (Anti-Aging Balance) Technology, our patented delivery system feeds the most potent fusion of revitalizing ingredients proven for optimal hair health and youthfulness. • No harsh chemicals such as SLS and parabens. Color Safe. Dermatologist Recommended. A light styling cream to smooth and moisturize hair throughout the day. A must-have purse & travel essential… perfect for on-the-go touch ups. Rich with Hyaluronic Acid, Vitamins B, C, E and Panthenol, this universal product has a silky texture to nourish, hydrate and protect. • Acts as a leave-in conditioner, renewing and moisturizing dry, damaged hair with Vitamin E + Panthenol • Works great on fine, curly, wavy, frizzy or natural hair styles • Smoothes hair with an ultra lightweight finish • Tames flyaways and calms ‘static’ • No harsh chemicals. SLS and Paraben Free. Color Safe. Dermatologist Recommended. For fine or normal hair, Hydrate Condition is a lightweight hydrating conditioner that leaves hair silky with natural movement and healthy shine. Protein rich, Anti-Aging ingredients like Marine Collagen repair and rebuild every strand with intense nourishment. Ideal for fine, thinning and damaged hair, A2B (Anti-Aging Balance) Technology delivers balanced hydration so hair is not weighed down while improving manageability, leaving hair fuller and softer. • Ideal for hair thinning, or hair weakened by stress, over-processing, environmental damage or seasonal change • Instantly detangles , making it ideal for men and kids • SLS and Paraben Free. Color Safe. Dermatologist Recommended. 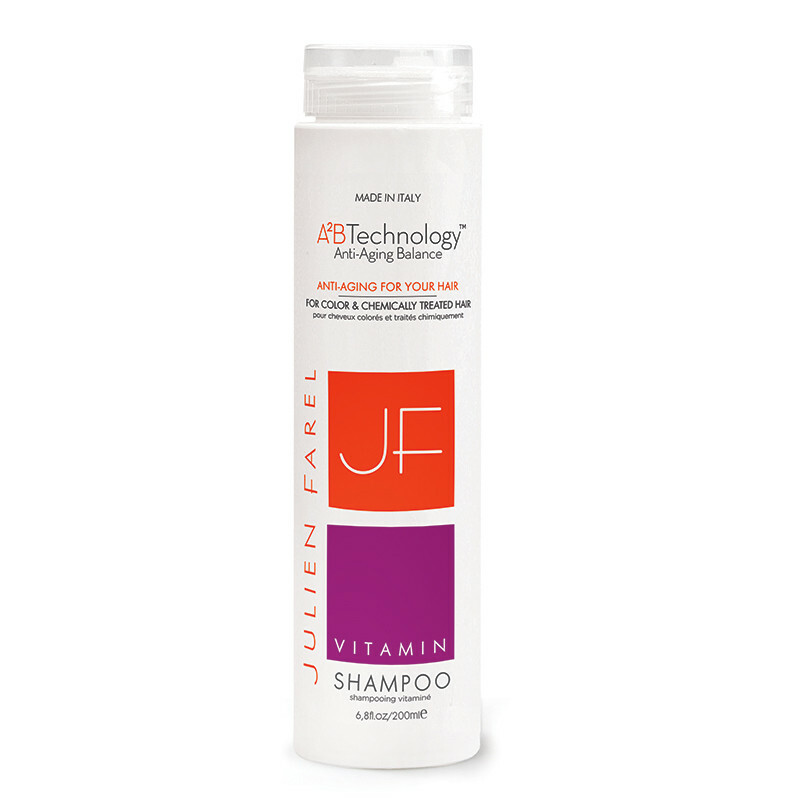 For fine or normal hair, this gentle shampoo cleanses without stripping away essential moisture. Hydrate Shampoo contains Hyaluronic Acid to strengthen fine, thinning, dry or damaged hair with mega hydration, leaving it with enhanced body and healthy shine. Ideal for fine, thinning and damaged hair, A2B (Anti-Aging Balance) Technology delivers balanced hydration so hair is not weighed down. Hydrate Shampoo does not contain SLS or parabens so hair is gently yet effectively cleansed. 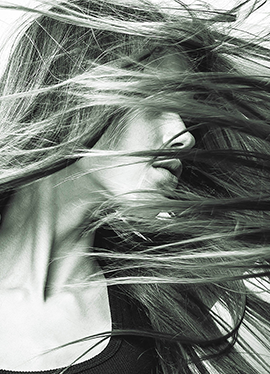 If you're looking for the best shampoo for fine, damaged or dry hair, you've found it. • Best for dry hair, hair thinning or hair damaged by stress, over-processing, environmental damage or seasonal change. • Fortifying minerals strengthen hair for less breakage and damage and improved manageability, leaving thinning hair looking and feeling fuller and softer. • SLS and Paraben Free. Color Safe. Dermatologist Recommended. A luxurious Anti-Aging hand and body wash that gently cleanses, leaving your skin moisturized and refreshed. This premium sized travel version of Energize Hand & Body Wash hydrates and softens with Camelia and Ginseng Extracts. Rinses free of residue and leaves skin silky smooth and invigorated. Consistently named one of the best luxury hotel bath products, Energize Hand & Body Wash is available now in a travel friendly TSA- approved size of 3.0 oz, 90ML size. SLS & Paraben Free. Originally only available to hotel guests of Loews Regency New York and San Francisco, Moisturize Hand & Body Creme is now available for purchase by popular demand. Our exclusive Anti-Aging Hand & Body Creme hydrates deeply to nourish and soften with Grape Seed Oil and Sweet Almond Oil for intense, all day hydration. Consistently named one of the best luxury hotel bath products, Moisturize Hand & Body Creme is available now in a travel friendly, TSA approved size of 3.0 oz size. SLS & Paraben Free.